Guerrilla Games has released Horizon Zero Dawn update 1.31 for gamers. The update brings fixes and improvements to several technical issues with New Game+, Ultra Hard Difficulty, progression, and crashes. The update has fixed an issue where for some players the statistics of the Tearblaster were incorrectly displayed in the weapon wheel. In addition, the patch also fixed an issue in New Game+ “A Seeker at the Gates” where for certain players the objective ‘Override a Strider’ would remain on screen when using the Call Mount skill. Fixed an issue where for certain players hitting an armour plate with a bomb while the machine is frozen would cause more damage than intended. Fixed an issue where for some players the statistics of the Tearblaster were incorrectly displayed in the weapon wheel. Horizon Zero Dawn update 1.31 fixed an issue where for certain players heavy melee damage was the same on different difficulty levels. Fixed an issue in “The Looming Shadow” where for some players two guards would disappear after Blameless Marad speaks to them. Horizon Zero Dawn update 1.31 fixed an issue where for some players the auto save at the start of “Mother’s Heart” would not display the name of the quest and the player’s level indicator. Fixed an issue in New Game+ “The Point of the Spear” where for some players loading an auto save after speaking to Rost at his home would start from Karst’s location rather than near Rost. Fixed an issue in New Game+ “A Seeker at the Gates” where for certain players the objective ‘Override a Strider’ would remain on screen when using the Call Mount skill. Horizon Zero Dawn update 1.31 fixed an issue in New Game + where certain players were not able to enter or fast travel to Sunfall with the Adept Shadow Stalwart armour equipped. Fixed an issue in New Game+ where some players with the Adept Blast Sling were granted access to the Shock Trial in the Valleymeet Hunting Grounds, despite not having Shock ammo. 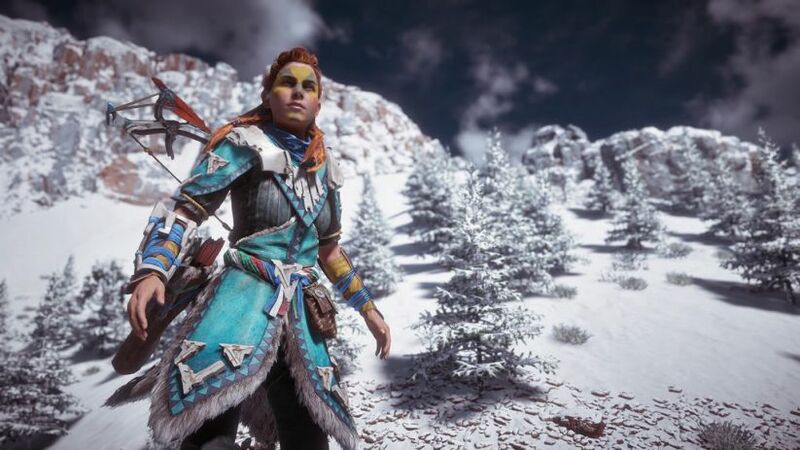 Horizon Zero Dawn update 1.31 fixed an issue in New Game+ where some players with the Adept Blast Sling were granted access to the Freeze Trial in the Valleymeet Hunting Grounds, despite not having Freeze ammo. Fixed an issue in New Game+ where for some players kills with the Adept Tripcaster were not counted towards the Blast Wire Trial in the Nora Hunting Grounds. Fixed an issue in New Game+ where certain players were able to carry over heavy weapons from their normal game to their New Game+ loadout. Horizon Zero Dawn update 1.31 fixed an issue when playing on Ultra Hard mode where for some players shard values in player created errands are not updated when switching to a lower difficulty. Fixed an issue in “Deep Secrets of the Earth” where certain players would become trapped in a room if they solved the Power Puzzle while leaving the enemies guarding it alive. This fix requires a reload in order for it to work. Previously, developers released major Horizon Zero Dawn update 1.30. Check our game updates and download latest Horizon Zero Dawn update 1.31.